India are busy in their preparation to battle a weak yet promising Test side, the West Indies. 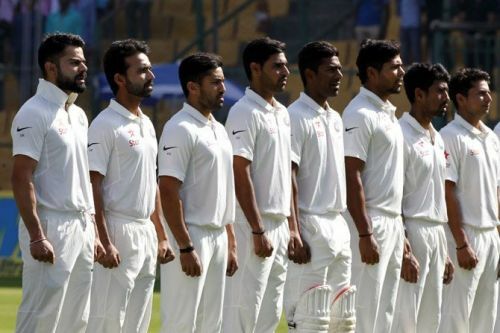 Just after the completion of the West Indies tour to India, BCCI will send some Indian players of the Test team to New Zealand along with the India 'A' team. India have missed two golden opportunities to triumph overseas under Virat Kohli due to the lack of practice. This time though, BCCI has made sure India will get enough practice ahead of the all-important tour to Australia. India will be facing Australia with their best pace-attack ever. India, in the present scenario, have a versatile and energetic pace attack which has performed well in their last two overseas Test series, against South Africa and England. Bhuvneshwar Kumar can make the Aussies dance to his tunes with his swinging deliveries, whereas Shami and Umesh could make the ball reverse swing to trouble the Aussie batsmen. Ishant should be able to make his Test experience count. Bumrah has the ability to entrap the Aussie batsmen with his awkward action. To sum it up, if the bowlers are complemented by the batsmen properly, India can have a strong chance of clinching the Test series this time around. Australia vs India 2018-10: Can India make history at the MCG?